24 March 2019, Jeddah, Saudi Arabia: A new initiative sponsored by Saudi German Hospitals Group (SGH Group), in collaboration with Batterjee Medical College (BMC), is set to offer hundreds of Saudi students’ prosperous opportunities in the healthcare sector. 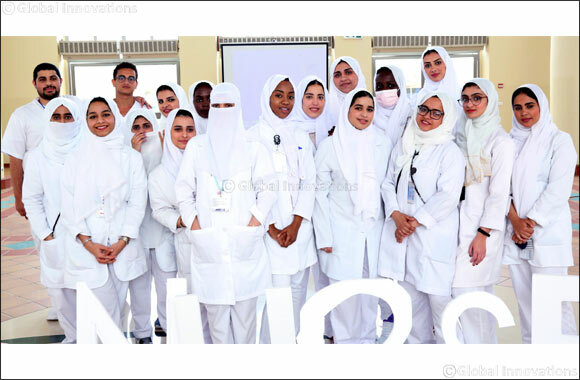 The Education for Employment program (E4E), which started in 2018, has sponsored 100 Saudi high school graduates, predominantly females, to study nursing at Batterjee Medical College. In line with Vision 2030, this initiative aims to increase the attractiveness of nursing as a preferred career path and encourage more Saudi nationals into the healthcare sector. In collaboration with SGH Group’s Academic Affairs Department, students develop their competencies and skills to perform professional nursing duties and responsibilities in the future. SGH Group provides full financial support and covers all tuition fees, monthly allowances and insurance for students involved. After three years of training, successful graduates of the program are offered employment at Saudi German Hospital branches. Dr Khalid Batterjee also commented that, although building skills and expertise is essential, there is a big focus on soft skills and attitude throughout the program. “To us, it is not just about skills and expertise. We want to ensure we are fostering the right attitude for our employees to ensure the best patient experience for all patients. To pass the program, there is a big focus on our students being collaborative, self-confident, passionate, professional, excellent communicators and, most importantly, caring and warm individuals whom put the patient first,” Dr Khalid Batterjee concludes.